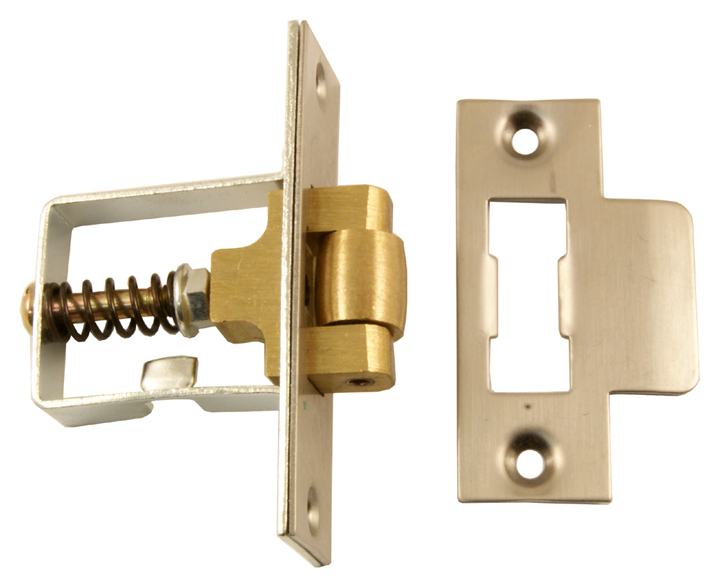 A type of bolt which acts like a latch but can operate in two directions (e.g. for double swing doors). The spring bolt, which can be withdrawn by the follower in the usual way, has a roller on the end which locates into a receiver plate. Whilst roller pressure can be adjustable, the bolt does not usually provide a strong closing force which could be overcome by wind pressure.